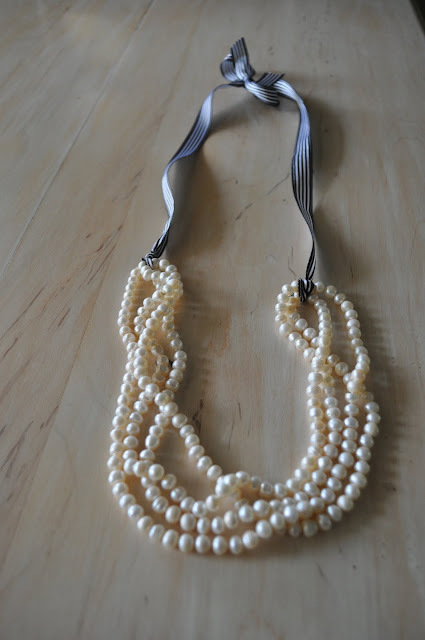 Take the pearls and double it up so you have a 4 strand necklace. 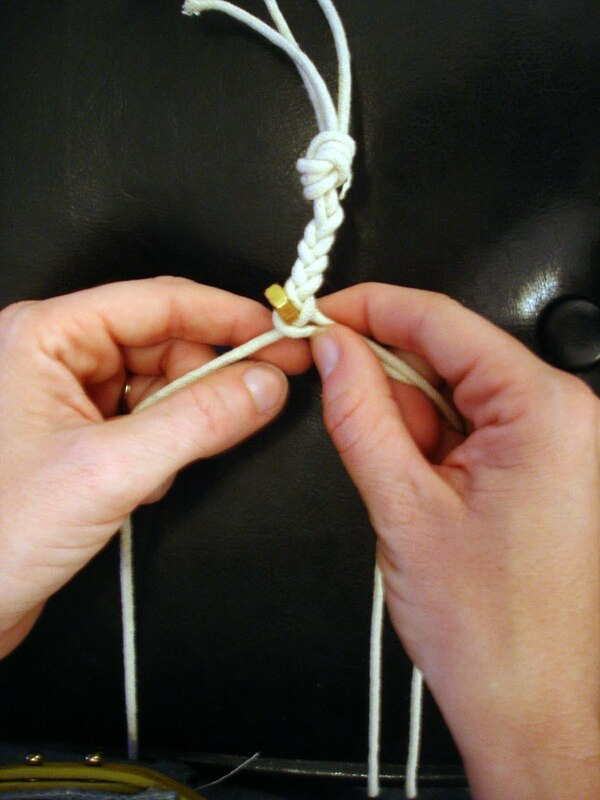 Wrap 1 piece of ribbon around each side and tie it in a knot. Trim the excess ribbon. 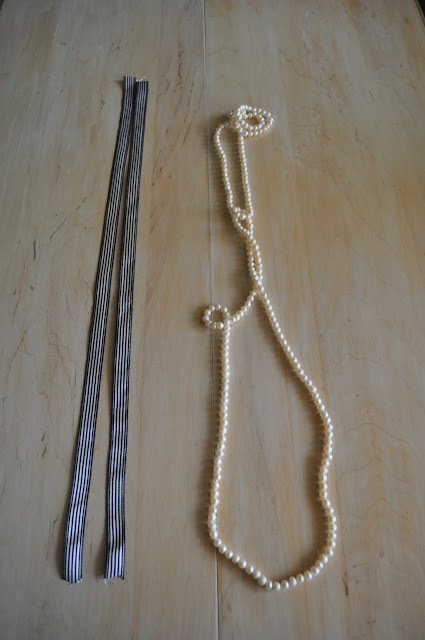 Tie the necklace in a bow at the back to desired lenth. There's your finished product! Quick and SUPER easy! AND you can always change the ribbon out very easily if you want a different look. 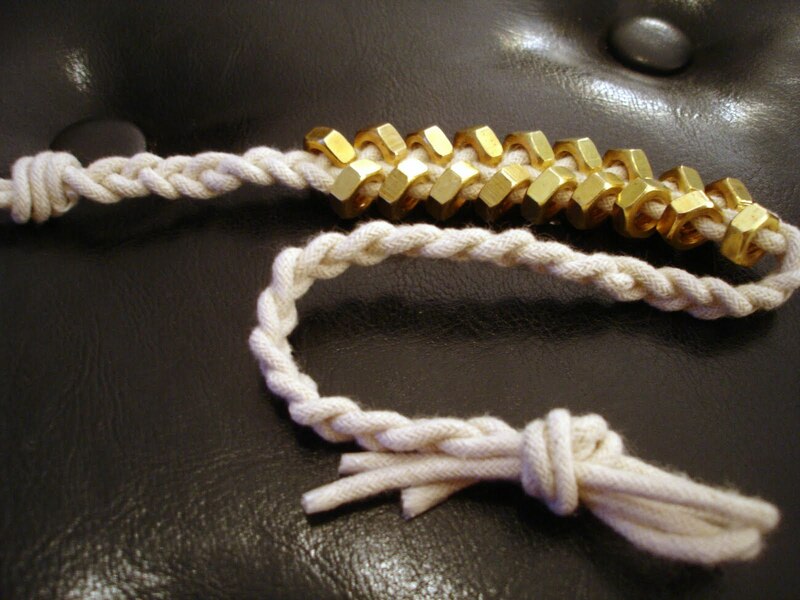 Pearls: Free (bridesmaid gift from a dear friend) Ribbon: $3.59 for the spool Total cost of poject: $3.59 DIY Braided Hex Nut Bracelet You'll need: -3 strands of twine cut into one yard pieces -18 small brass hex nuts -Nimble fingers! Gather the 3 strands of twine and tie a knot at the top, leaving about 2 inches of excess. Start braiding. At about an inch of the way down, you’ll begin braiding in the nuts. 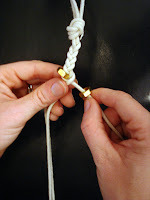 Before you braid the far left strand over the middle strand, thread on a nut, push it against the base of the braid, and crossover. I wrapped tape around the bottom tips to prevent the twine from fraying. 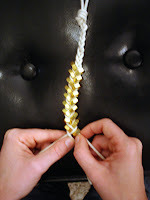 Keep your thumb at the base of the braid, holding the nut in place. 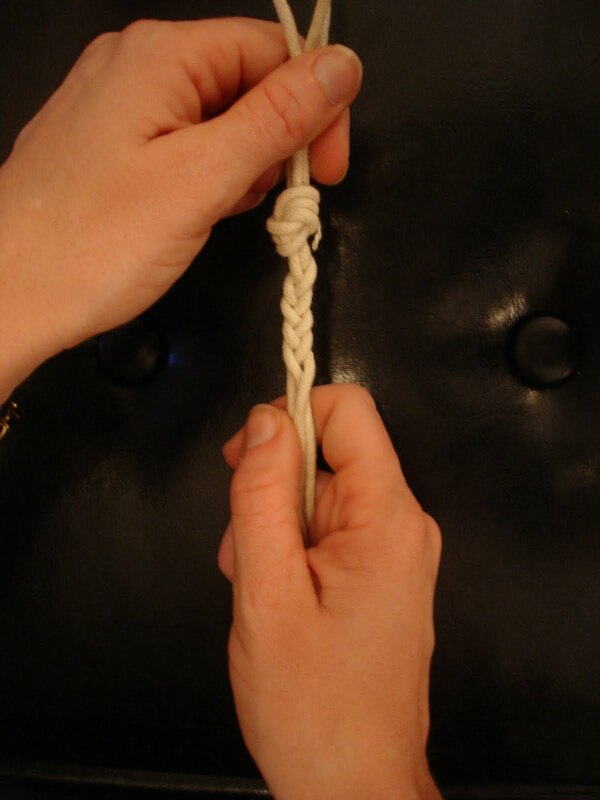 Before you braid the far right strand over the middle strand, thread on another nut, push it against the base of the braid and crossover. 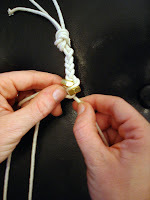 Again, make sure to hold your thumb tightly against the base of the braid, keeping the nut in place. 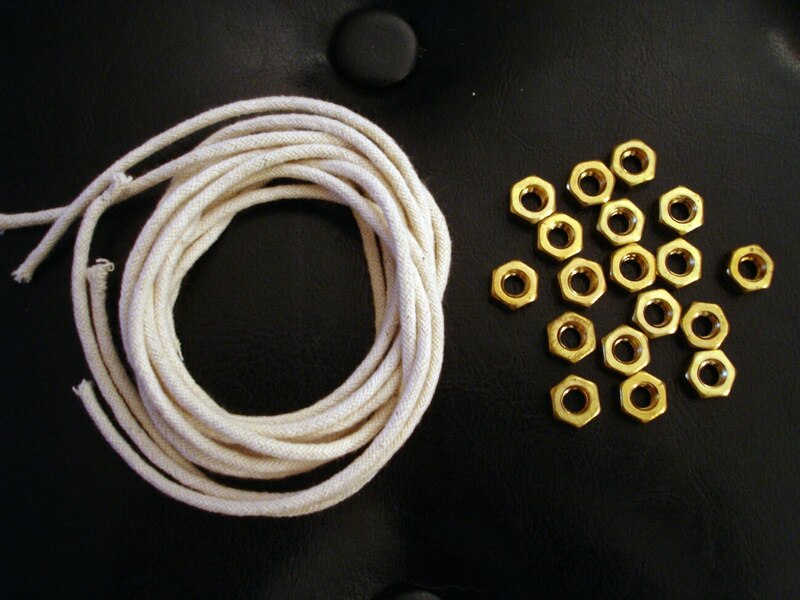 Thread another nut onto the far left piece and crossover. 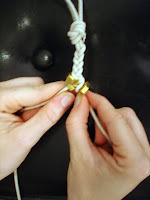 Repeat the steps, by threading the rest of the nuts to the outer pieces of twine before they are crossed over. Thread, cross, thread, cross. 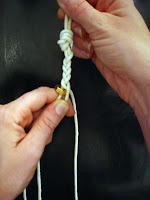 Braid twine to the bottom and make a loop at the end. 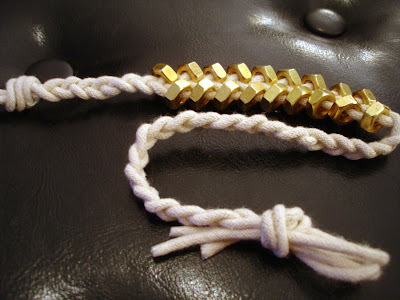 The bracelet should wrap around your wrist two or three times. Trim it to your liking. 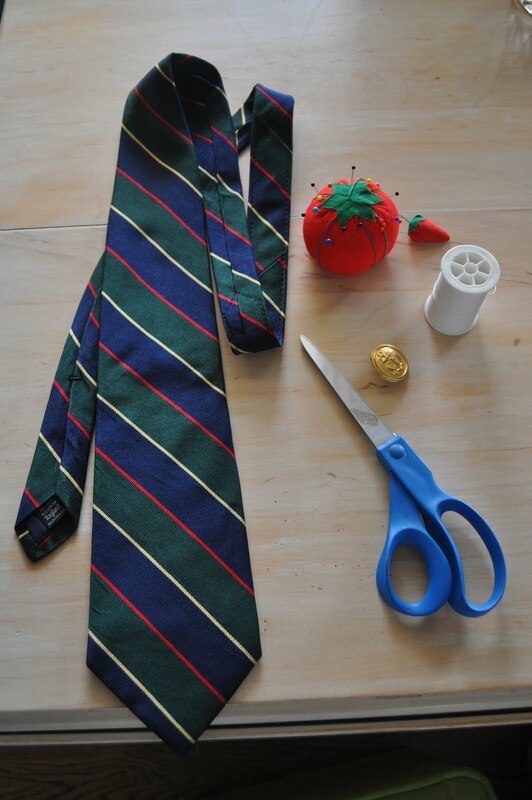 Lay out your tie, and start folding and pinning in a manner that's pleasing to you. 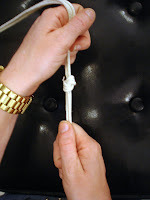 Lay it around your neck and add or remove folds to get the length you want. Remember you'll want to be able to have the necklace slip on and off your head. 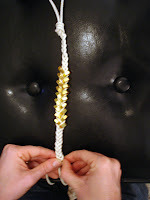 Take your needle and thread and tack down the folds from the back side of the necklace. Place your button or accent piece and stitch down. Enjoy your fabulous statement necklace! There you have it! Quick and easy, right? 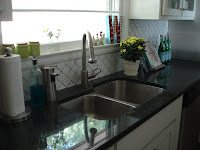 For more home decorating ideas and DIY projects, visit my blog, The Wayman Family Nest. 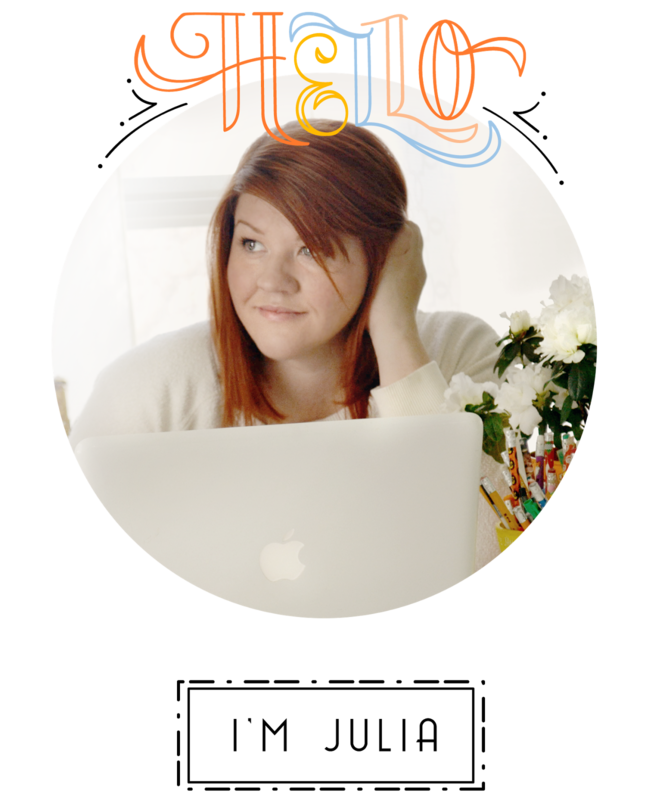 A big thank you to Julia for having me on her fabulous blog today! That bracelet is fantastic! So unique and cool! Wow. Well, I am overwhelmed with the designs that you did. The pearls are really nice and fashionable. The tie is fascinating because of the folds that you did. Great imagination and concepts! 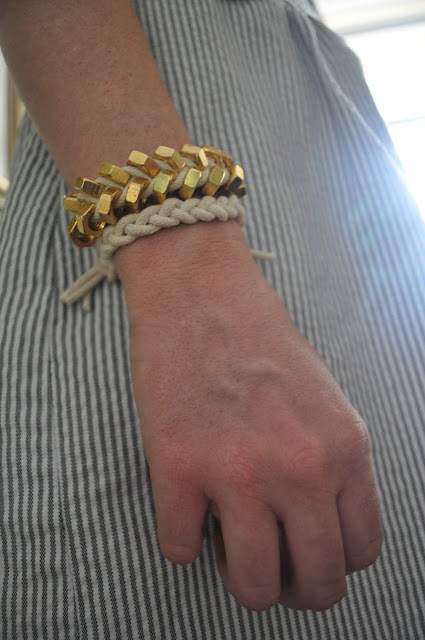 Just so you know, all 3 of these jewelry accessory ideas are absolutely AWESOME. I especially love the 3rd one, which incorporates a tie- I've always liked that look. Kudos, ma'am! Since you shared your DIY jewelry ideas, I'd like to return the favor and show you my site, Ispirada. I'm super proud of it, as I'm sure you are of your super cool site. Thank you ladies! I had so much fun doing it! And I did it on a budget! My hubby and I are on the Dave Ramsey envelope system and this definitely didn't break the bank! Glad you liked it! But how do you make the loops at the beginning and end? The one at the beginning only has one string, so at what point did the other two come in? nevermind! I just found a video that explains it well! I like the tie idea. I just have to figure out if it works well with anything that I have. 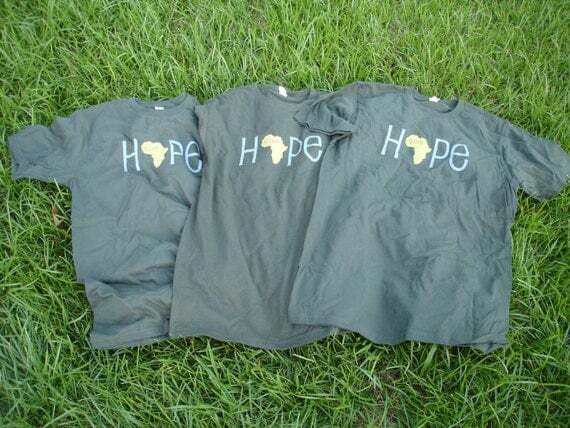 These are really awesome designs. I think you have used pearls in a very great way and looks really amazing. Thanks for sharing your many creative ideas. 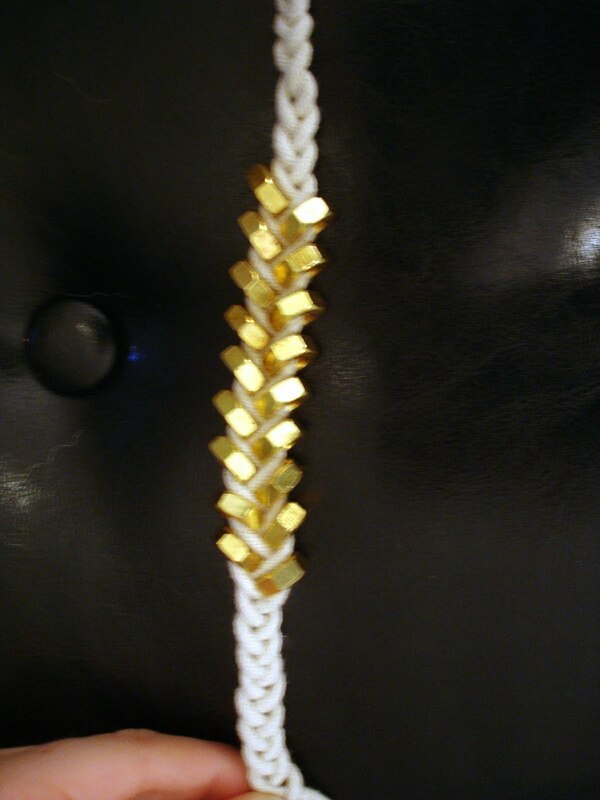 I like the bracelet a lot. Wow, such cool jewelry! I really love that bracelet! Thanks so much for sharing! 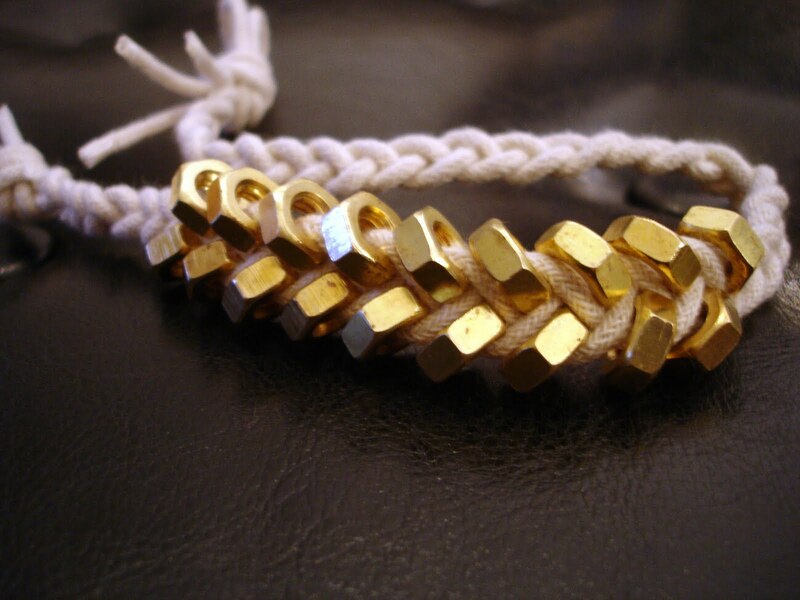 What size of Brass Hex Nuts are you using for the Hex Nut bracelet. This seems to be a specialty item in our city....having a hard time finding them. Where did you buy yours? Online or in your city? Thanks. Cute ideas. Thanks for sharing them. Free $20 to spend at eShakti for ALL EMI readers! 100 free custom post cards - Giveaway!